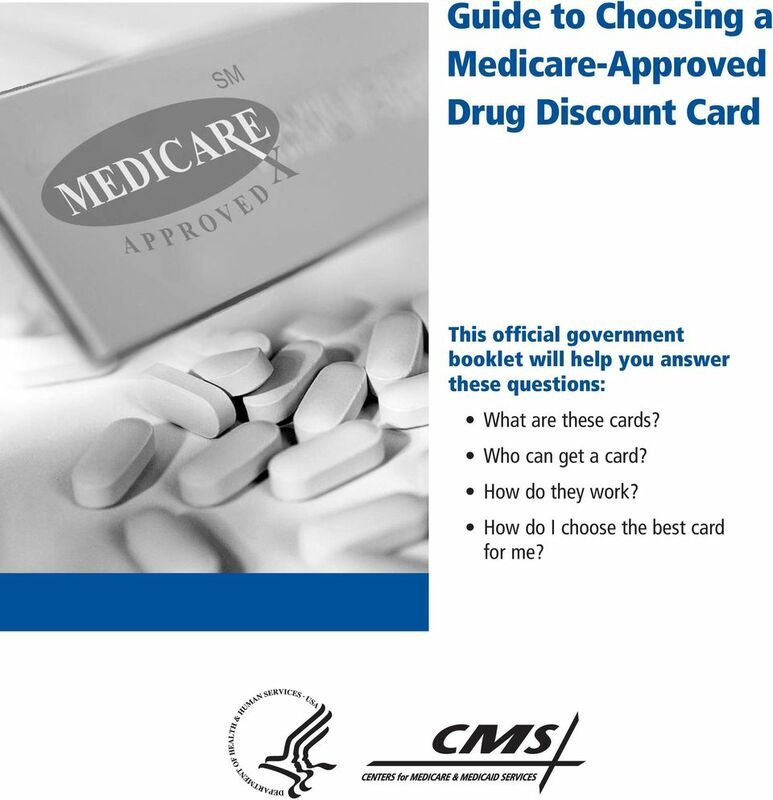 Download "Guide to Choosing a Medicare-Approved Drug Discount Card"
1 Guide to Choosing a Medicare-Approved Drug Discount Card This official government booklet will help you answer these questions: What are these cards? Who can get a card? How do they work? How do I choose the best card for me? 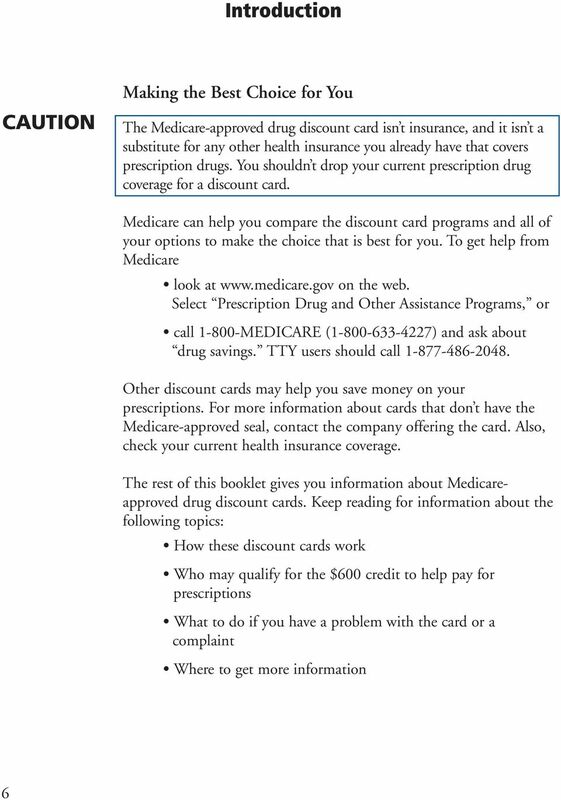 16 Section 1: Discount card basics Can I get a Medicare-approved drug discount card if I am in a Medicare Managed Care plan? Yes. 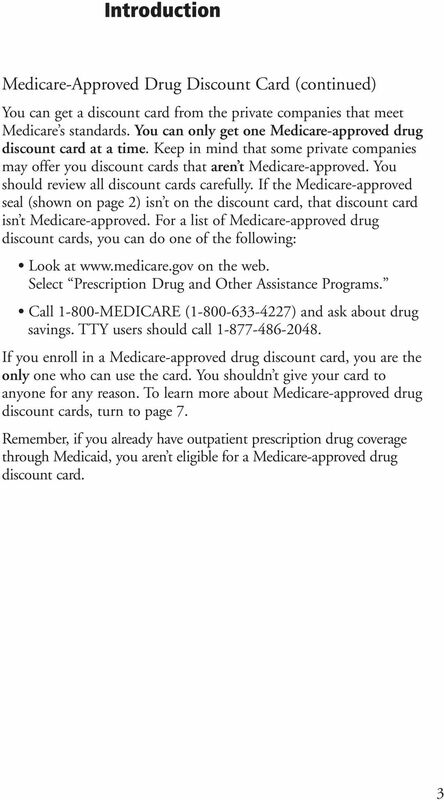 Your Medicare Managed Care plan may offer a Medicare-approved drug discount card only to its plan members. If it does, you can choose to join only this discount card. 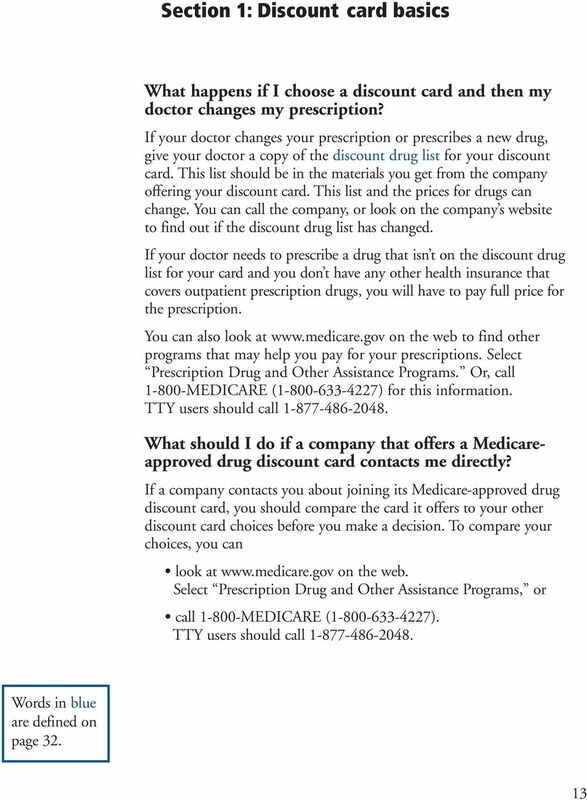 If you choose not to join the discount card offered by your Medicare Managed Care plan, you can t choose another Medicare-approved drug discount card. 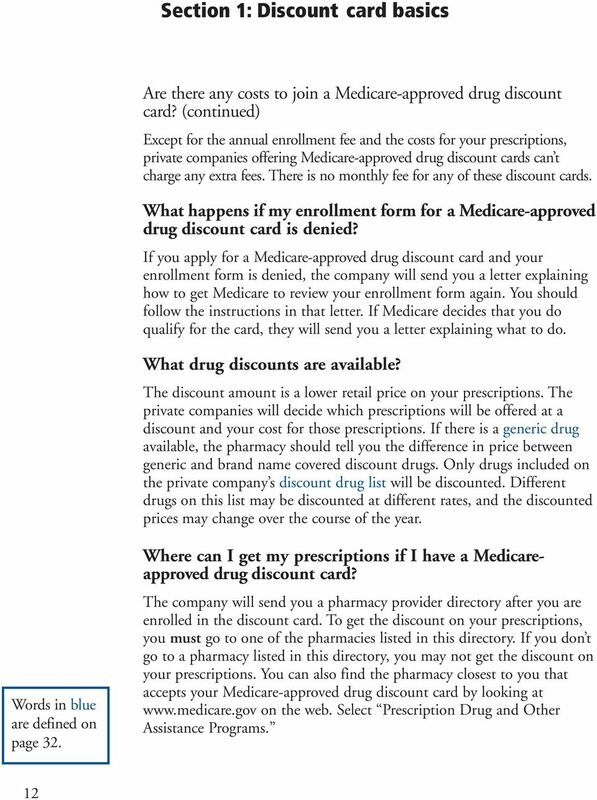 If your Medicare Managed Care plan doesn t offer a Medicare-approved drug discount card, or offers a discount card that is open to non-members, you can choose any discount card offered in your state. 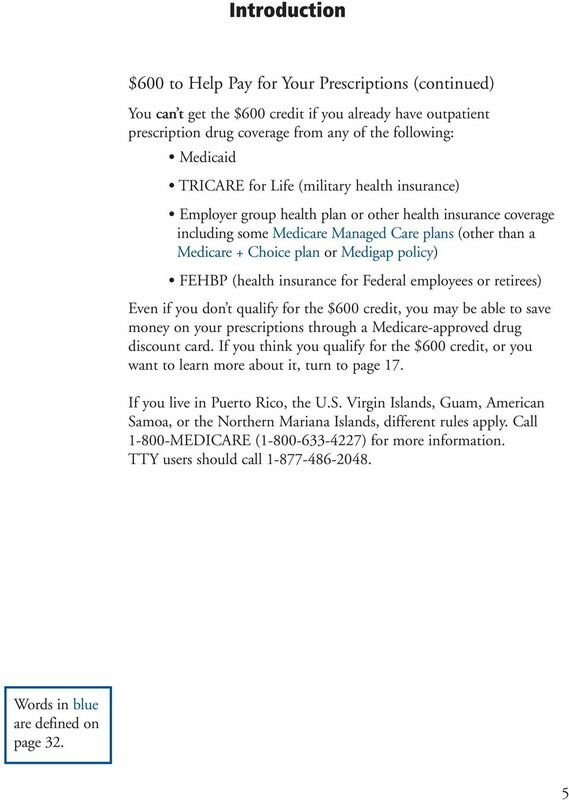 Call your Medicare Managed Care plan for more information. 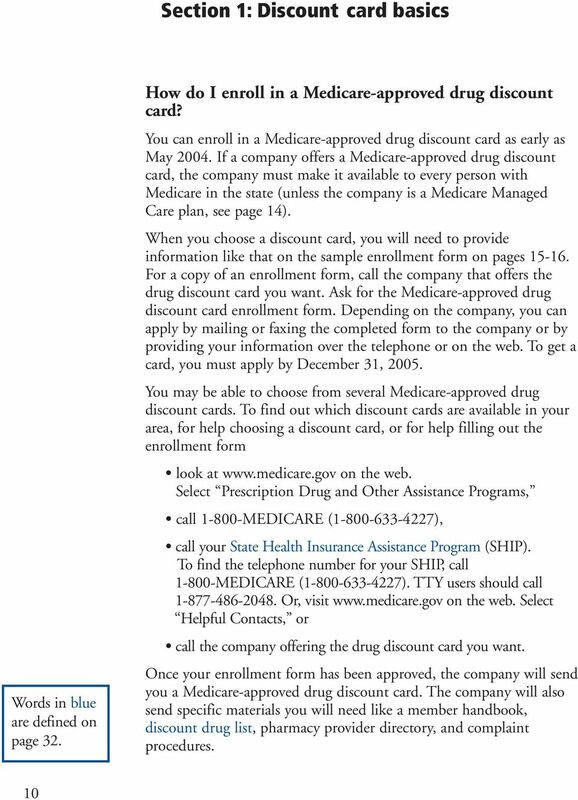 Can I leave a Medicare-approved drug discount card? Yes. You can leave a discount card anytime by notifying the company to tell them why you are leaving. 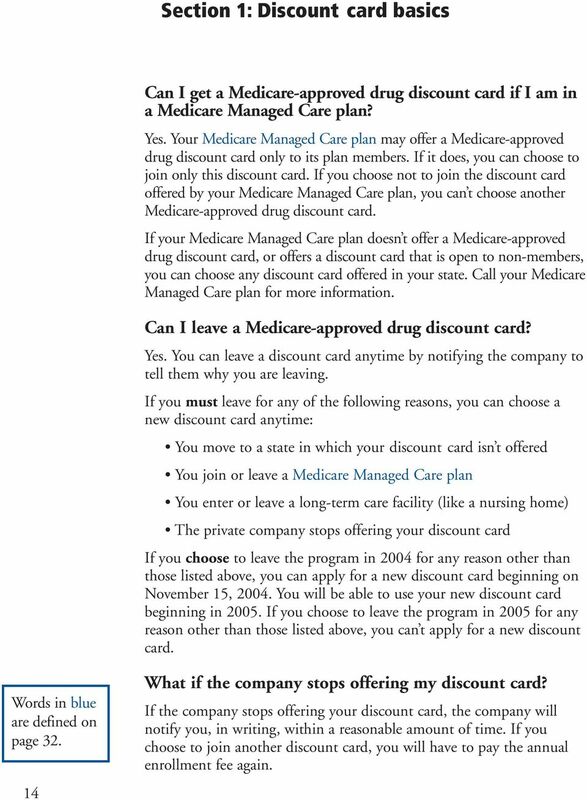 If you must leave for any of the following reasons, you can choose a new discount card anytime: You move to a state in which your discount card isn t offered You join or leave a Medicare Managed Care plan You enter or leave a long-term care facility (like a nursing home) The private company stops offering your discount card If you choose to leave the program in 2004 for any reason other than those listed above, you can apply for a new discount card beginning on November 15, You will be able to use your new discount card beginning in If you choose to leave the program in 2005 for any reason other than those listed above, you can t apply for a new discount card. Words in blue are defined on page What if the company stops offering my discount card? If the company stops offering your discount card, the company will notify you, in writing, within a reasonable amount of time. If you choose to join another discount card, you will have to pay the annual enrollment fee again. 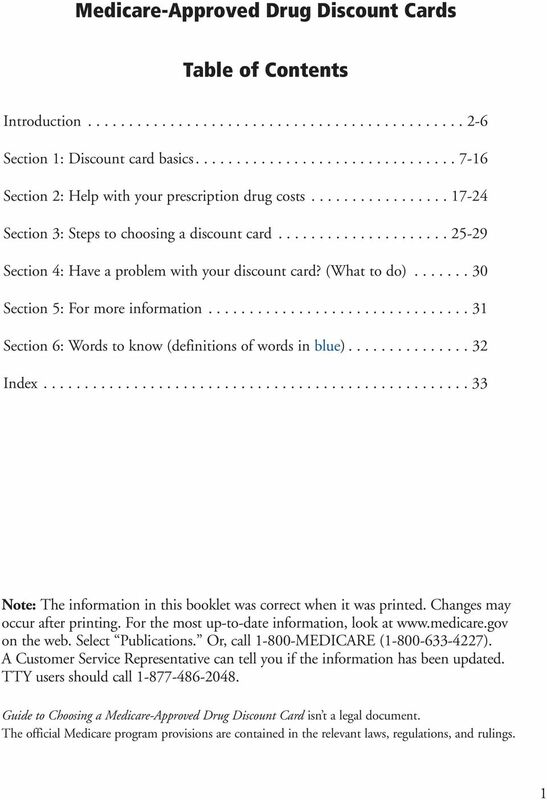 34 Section 6: Words to know 32 Discount Drug List - A list of certain drugs and their proper dosages. 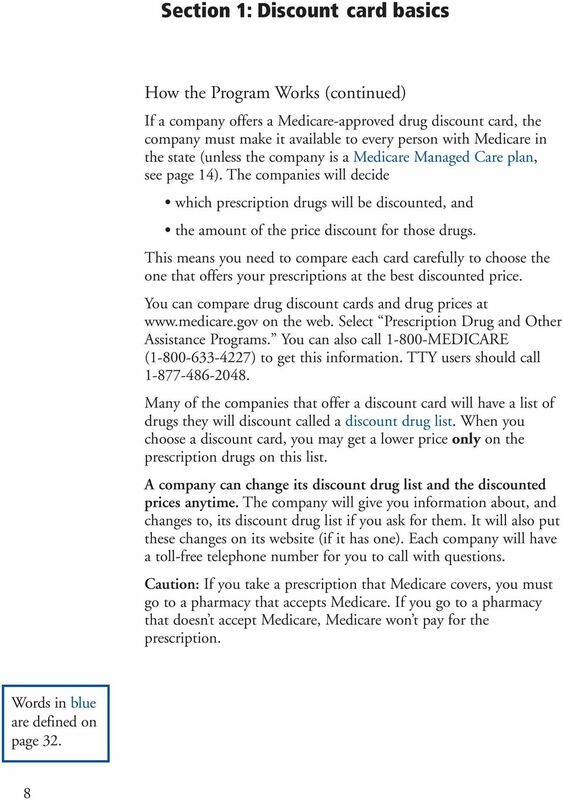 The discount drug list includes the drugs the company will discount. 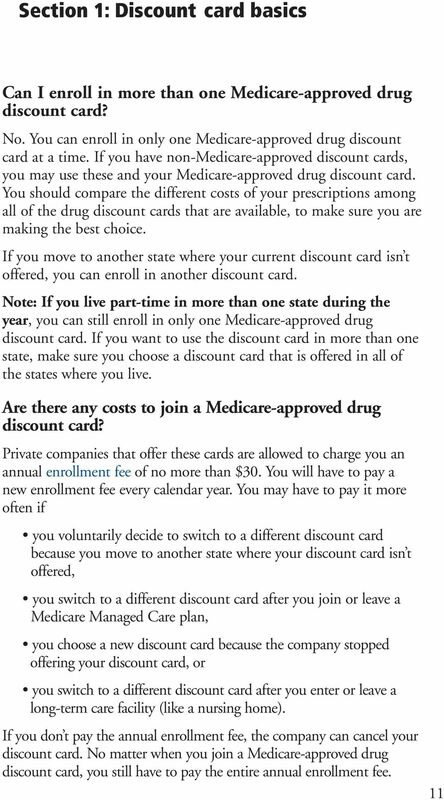 Enrollment Fee - The amount you must pay every year to get a Medicare-approved drug discount card. Generic Drug - A prescription drug that has the same active-ingredient formula as a brand name drug. Generic drugs usually cost less than brand name drugs and are rated by the Food and Drug Administration (FDA) to be as safe and effective as brand name drugs. Medicaid - A joint Federal and State program that helps with medical costs for some people with low incomes and limited resources. Medicaid programs vary from state to state, but most health care costs are covered if you qualify for both Medicare and Medicaid. Medicare + Choice Plan - A Medicare program that gives you more choices among health plans. Everyone who has Medicare Parts A and B is eligible, except those who have End-Stage Renal Disease unless certain exceptions apply. 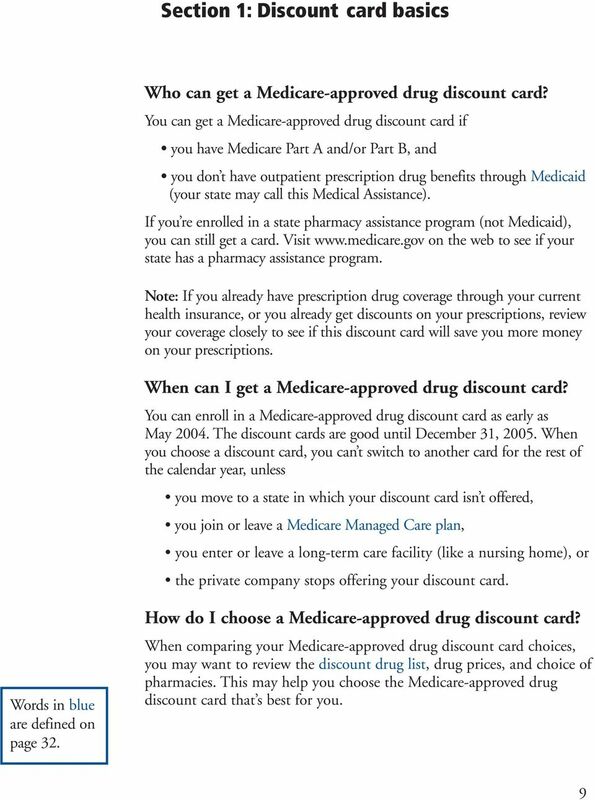 Medicare + Choice plans may also be called Medicare Advantage plans. 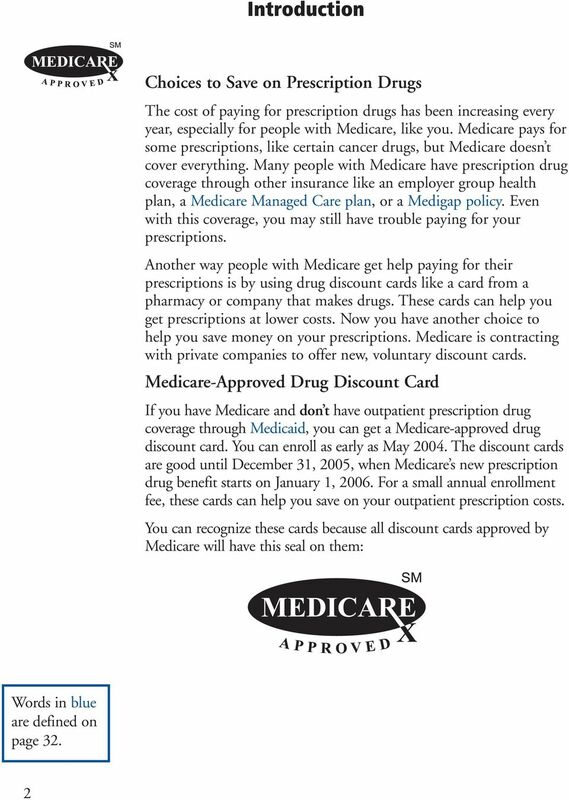 Medicare Managed Care Plan - A Medicare + Choice Plan option that is available in some areas of the country. In most managed care plans, you can only go to doctors, specialists, or hospitals on the plan s list. Plans must cover all Medicare Part A and Part B health care. 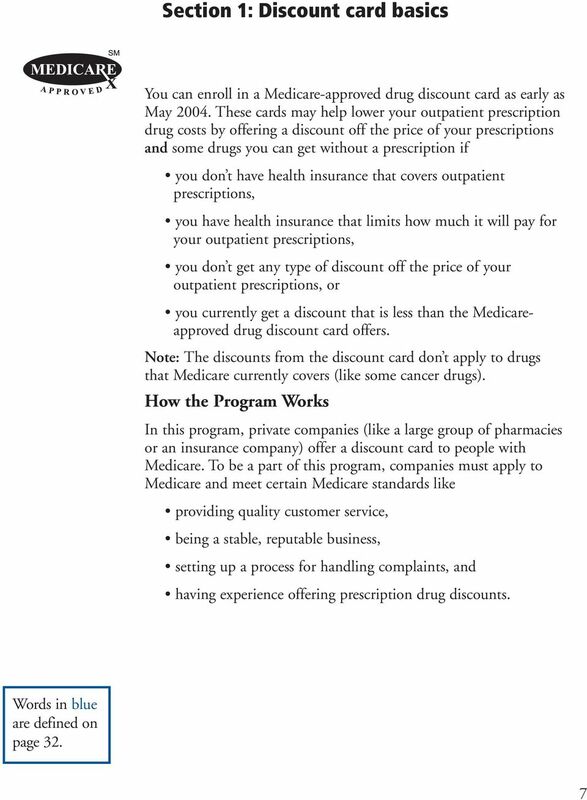 Some managed care plans cover extras, like prescription drugs. Your costs may be lower than in the Original Medicare Plan. Medigap Policy - A Medicare supplement insurance policy sold by private insurance companies to fill gaps in Original Medicare Plan coverage. Except in Massachusetts, Minnesota, and Wisconsin, there are ten standardized plans labeled Plan A through Plan J. Medigap policies only work with the Original Medicare Plan. 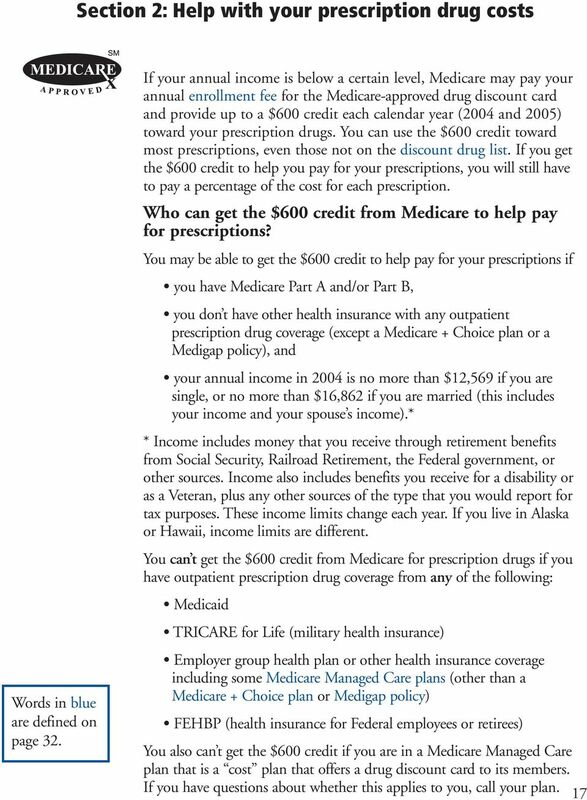 Original Medicare Plan - A pay-per-visit health plan that lets you go to any doctor, hospital, or other health care supplier who accepts Medicare and is accepting new Medicare patients. You must pay the deductible. Medicare pays its share of the Medicare-approved amount, and you pay your share (coinsurance). 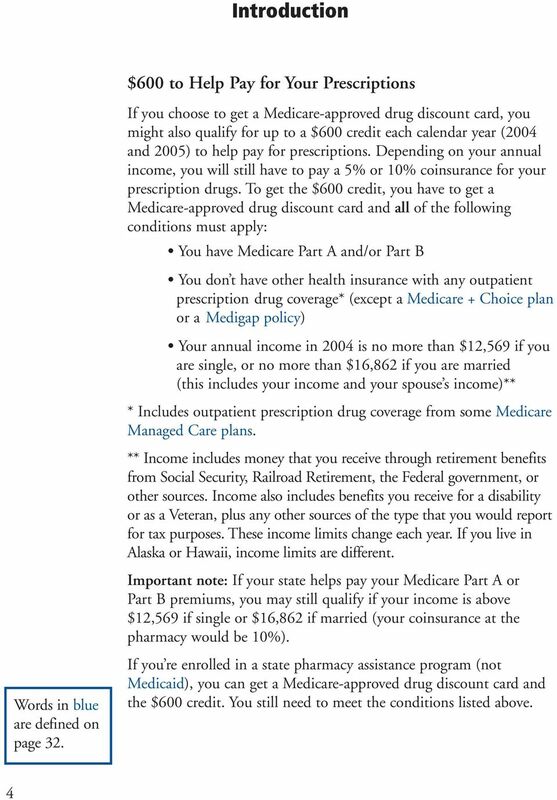 The Original Medicare Plan has two parts: Part A (Hospital Insurance) and Part B (Medical Insurance). 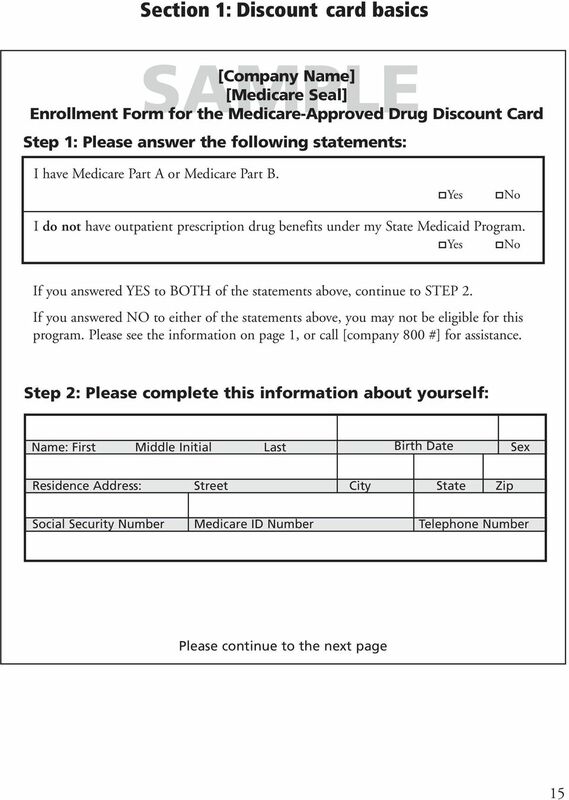 State Health Insurance Assistance Program - A State program that gets money from the Federal Government to give free local health insurance counseling to people with Medicare. 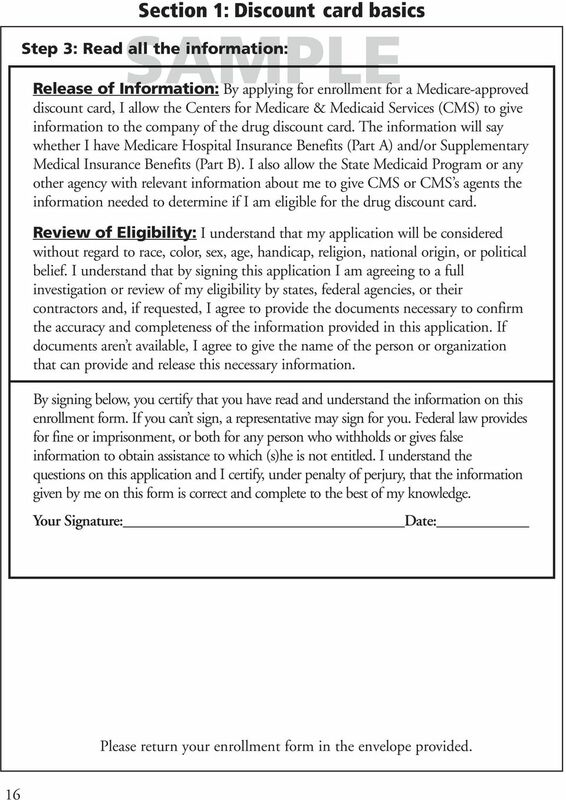 36 U.S. DEPARTMENT OF HEALTH AND HUMAN SERVICES Centers for Medicare & Medicaid Services 7500 Security Boulevard Baltimore, Maryland Official Business Penalty for Private Use, $300 Publication No. 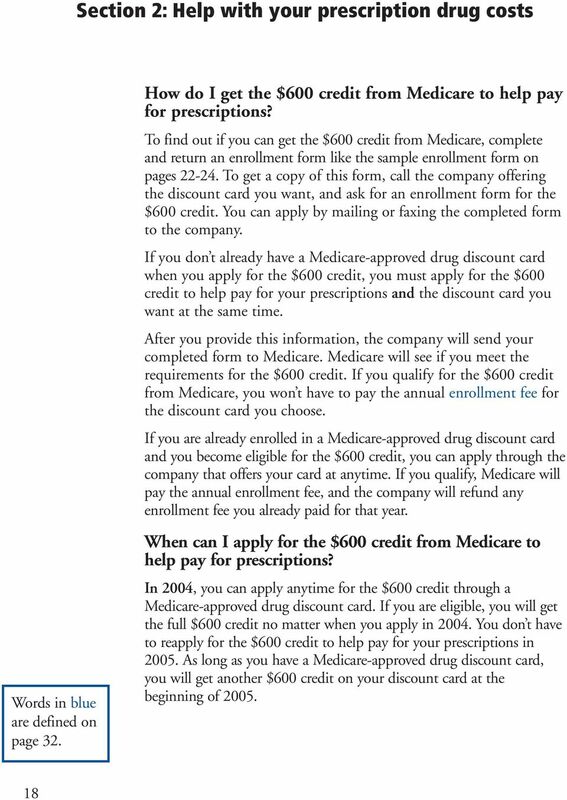 CMS March 2004 More information is available at on the web MEDICARE ( ) To get this booklet in Braille or Spanish, call MEDICARE ( ). TTY users should call Necesita usted una copia en español? Llame gratis al MEDICARE ( ).